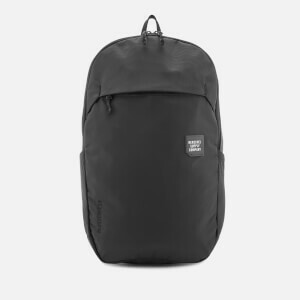 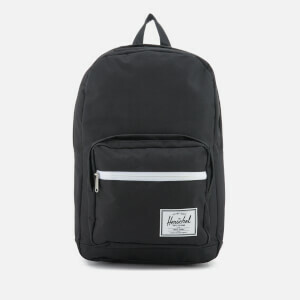 Colourblock backpack from Herschel Supply Co. Crafted from durable fabric with pebbled leather zip pulls, the 'Heritage' rucksack features a branded zip pocket to the front in contrast black, and two padded, adjustable shoulder straps for comfort and practicality. 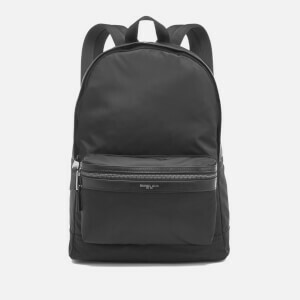 A dual zip-around fastening conceals the spacious, candy stripe interior that houses an internal media pocket with headphone port, and 15" laptop sleeve. 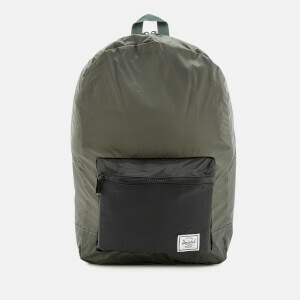 Finished with a contrast top handle, woven brand label and classic lash tab.